15 Fun, Family Farms to Visit in PA, NJ, DE, MD. Home » Disability and Sensory Friendly Travel » 15 Fun, Family Farms to Visit in PA, NJ, DE, MD. We just love visiting farms. Both of my kids love seeing animals, Kevin in particular. He loves to see them, pet them and it helps us help him with language. He can say some of the words and he can mimic the sounds they make. There are many local farms and animal farms to visit with children in Pennsylvania, NJ, Delaware, and Maryland, and many of these farms are free! I always like to support them and buy something, though. I started to list them in my head and thought that I would just make a blog post out of it. In addition to this list of fun farms in Pennsylvania, Delaware, and Maryland that you can visit with your kids, don’t forget about the fair season. In late summer and early fall, many towns and municipalities offer fairs and festivals to celebrate the harvest and agriculture. And most have a section of animals (since they are often being shown) to visit and pet and learn. Our perpetual January favorite is The Pennsylvania Farm Show. We’re lucky to live 3-10 miles from 3 state borders. I will add farms in South Jersey at some point because I know that there are many in that area. Baily’s Dairy of Pocopson Meadow in Pocopson/Unionville: Hands down our all-time favorite. We go there at least once a month and I just love their skim milk. In the spring you can visit all the baby cows and they also host an annual egg hunt around Easter. Just a great place to visit and it is free except for what you purchase. They have bunnies, ducks, geese, chickens/roosters, cats, cows, goats, and sheep. I think I got them all. Visit them on Facebook. The Barn at Springbrook Farm in Unionville/Coatesville area (special needs only I believe): I’m embarrassed to say that I’ve never been to this place! It’s always on my to-do list, it just never gets to-done. The Barn at Spring Brook Farm sits on 13 acres of open space including green pastures, gardens, and nature trails. Their fully accessible Chester County bank barn was designed specifically to provide opportunities for children with disabilities, including Autism Spectrum Disorders, to participate in animal-assisted activities. Cherry Crest in Lancaster County: Cherry Crest has a TON of things to do, including animals, corn mazes, hay rides and so much more. But, it also gets VERY crowded during the peak months and I find it to be one of the more expensive farm outings. Still, it’s lots of fun. I personally would take older kids here and not babies/toddlers. Check out this map of what they offer and you’ll see what I mean, it’s a busy, noisy place. Again, my son does not do well in big crowds, particularly if we are out in the sun, so I do not take him here. Their family-centered approach allows parents and children to identify specific goals to achieve through interaction with our miniature horses, donkeys, goats, and rabbits. 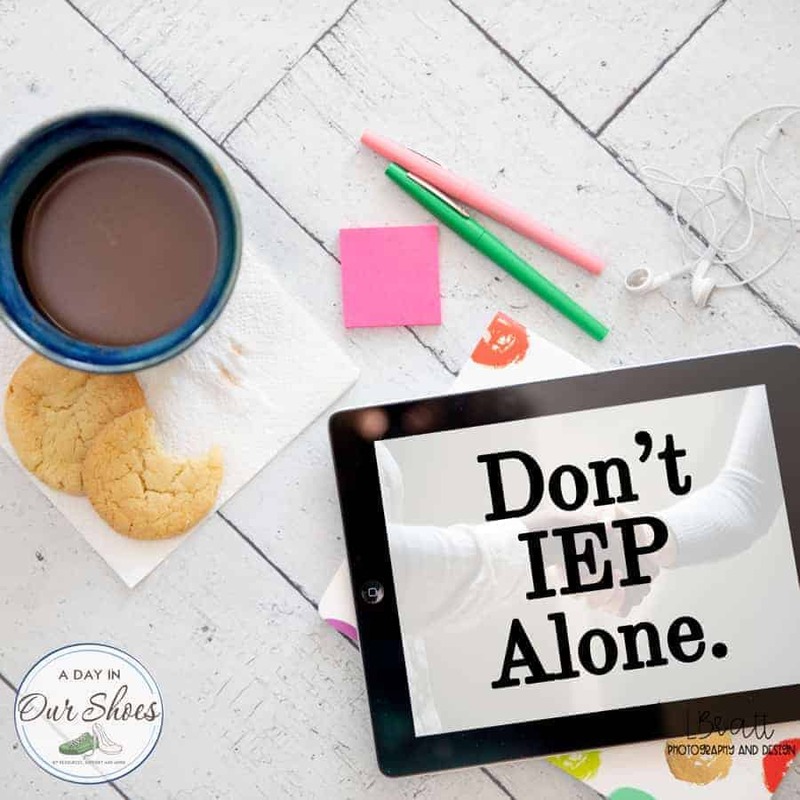 One of their keys to success is providing a safe and nurturing environment where kids can have fun while supporting therapies they may be receiving. They also offer organized programs and summer camps. Green Ridge in Parkesburg-Very hard to find information, it appears that they do not have a website or a Facebook page, so my guess is that it is run by Amish or Mennonites. It’s on Octorara Road, in either Parkesburg or Coatesville. From what I can find from random postings and yellow page listings: it appears that fall is their big season, they do have animals and they likely are closed on Sundays. Highland Orchards in West Chester/Downingtown area: Offers many fun activities for kids including hay rides, story time and pick your own. This one is a bit sentimental to me because it is one of the first activities we did with Kevin when he was a baby. They have animals sometimes, not out in all weather. Hopewell Furnace National Historic Site in Morgantown: I wrote up a full review of our visit to Hopewell Furnace National Historic site. They do have animals there that you can visit with, as well as many other activities for kids, including the Junior Ranger program which included a scavenger hunt. Hurricane Hill in Coatesville: Only open in the fall, offers a corn maze and other fun things to do for families. Was recently featured on CBS 3 road trips–looks like fun! Kreider Farms in Manheim (Lancaster County): It’s a working dairy farm that offers tours. Seems to be more scheduled and organized, rather than the low-key random wandering that we do at Coverdale and Baily’s if that makes sense. You can do actual farm tours here at this Lancaster County farm. 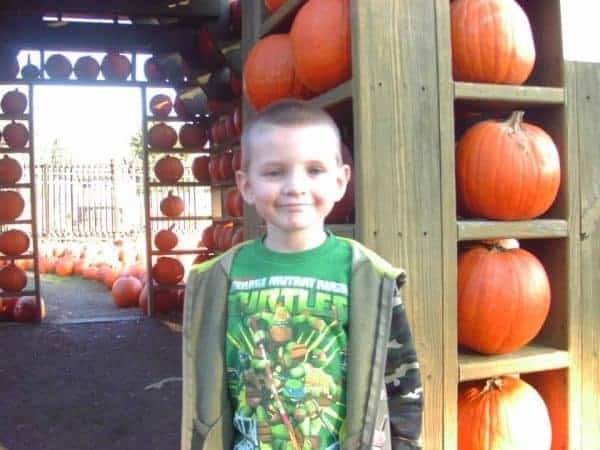 Linvilla Orchards in Media: I’ve actually only been here once and that was recently to play mini-golf. In the winter they offer mini golf in one of their buildings, it sells plants in the warmer months. Linvilla has a ton to offer as far as activities for kids-the animals, mini golf, all kinds of festivals and pick your own, and a gift shop. But it is a busy place. It sits right outside of Philadelphia, but once you’re there you’d never know how close to the city you are. Fun, but busy. I prefer the quieter, low key farms for my family. My son doesn’t always do well in crowds and this place is infamous for being crowded. Milky Way Farm in Chester Springs: A creamery, birthday parties, and tours/learning activities about sustainable farming are just some of the things they offer for families. 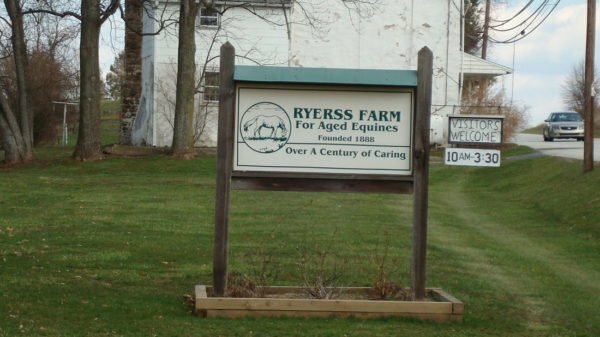 Ryerss Farm for Aged Equines in Glenmoore area (actually website says Pottstown): At Ryerss Farm, our business is caring for aged, abused or injured horses, providing a home where they can spend their golden years out to pasture. The horses at Ryerss are never worked, go to auction or are used for experiments. They simply spend their days grazing and enjoying life with their friends, as part of the herd. We have visited here and really enjoyed it. They have visiting hours. You can bring carrots or apples to feed the horses, or they provide them. Verdant View in Paradise (Lancaster County): Offers a variety of tours and visiting options for kids of all ages. Coverdale Farm Preserve of Delaware Nature Society in Greenville DE: This is another one of our local favorites. The animals are very well laid out for easy access for kids to visit. They also have a small farm store and plenty of events scheduled throughout the year. I have previously done a full special needs travel review of Coverdale Farm. Please check websites or Facebook pages before visiting, often because they are family-run operations, they may not be open all the time. If you found this information about local family farms helpful, then I suggest that you check out these posts. You won’t be disappointed!